CEEK IS AN AWARD-WINNING DEVELOPER of hardware and software for Omni-channel distribution of Virtual Reality (VR) experiences who creates, curates, and distributes VR content for world-class partners on the CEEK Virtual Reality Platform and patented headsets. CEEK provides several channels of VR content (both originally created and professionally licensed) over CEEK VR’s experience distribution platform, which can be viewed from ANY VR headset. 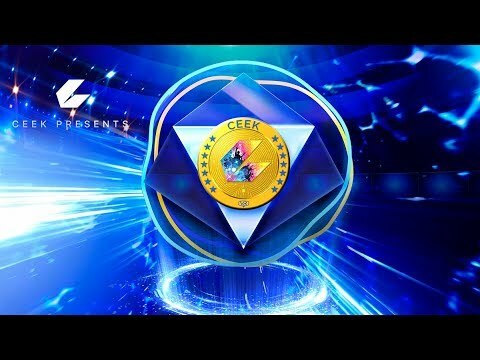 With the launch of a NEW Smart VR Token called CEEK, Token holders (CEEKERS) will be able to participate in immersive virtual reality (VR) experiences that grant CEEKERS special access to a tokenized rewards exchange inside exclusive CEEK enabled, virtual reality venues around the globe. CEEK virtual reality environments are governed by Ethereum Smart Contracts, allowing token holders ability for flexible, tokenized ‘in-world’ interactions, rewards, voting, contests, virtual goods and more ‘in-world’ transactions utilizing ERC20 compliant Tokens called CEEK. Each CEEK Token holder will be able to participate in virtual reality space for real world celebrity concerts, charity fundraisers, sporting events, VR commerce, classroom learning and much, much more as the exciting world of virtual reality meets real world opportunity through Smart Contract governance. I've followed several VR ICOs, both as investor and as advisor, that all turned out very well. I'm a big fan of the segment. For further improvement: I would have liked to see a bit more focus on the product side. It's easier to succeed by doing one thing best in the world than a little bit of everything. This project is great. It's supported by professionals who have a great deal of experience. VR is a booming industry and they have all the right things into place to become big. Great partnerships and already succesfull. Great investment! - VR Preloading Starts VIA Major OEM Device Partner "Announcement Pending"